The mandate of the delegation is to lobby against accession of Israel to the OECD. 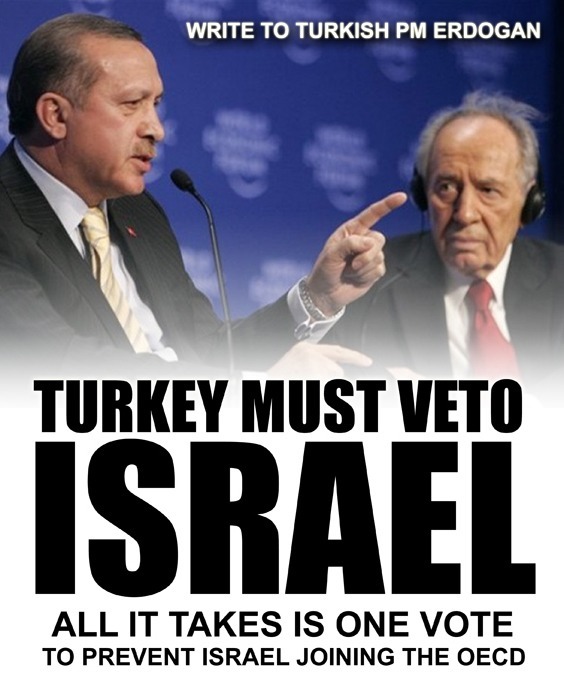 The delegation believe that due to its egregious human rights violations against Palestinians, disregard for the core principles of the international law and belligerent attitude that has lacerated the pride of Turkish people in many occasions, Israel should not be allowed to the OECD. Israel is also far below the economic criteria that is set by the OECD for admission of a candidate country. The delegation will also discuss the situation of Muslims in Europe. Massoud Shadjareh born in 1951 is a veteran human rights campaigner, who began his activism on campus at UC Berkley (United States) during the anti-Vietnam protest movement in the late 1960s. He came to the UK in 1971 and has worked in the voluntary sector for some 15 years. 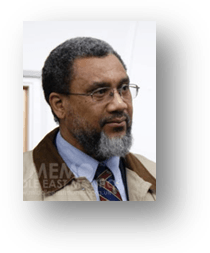 His work includes being part of the executive committee at the Cambridge Mosque and Islamic Centre (mid – late 1980s), and representing the Muslim community on the Citizens Advice Bureau Management Community for Cambridgeshire. He chaired the Human Rights Committee of the Muslim Parliament of Great Britain (1992 to 1997) which he left to help found the Islamic Human Rights Commission (IHRC). IHRC is a campaign, research and advocacy organisation based in London. It is also an NGO in Special Consultative Status with the Economic and Social Council of the United Nations. Mr. Shadjareh currently chairs IHRC. He sits on the Home Office Stop and Search Review community panel, which addresses the disproportionality of stops against minorities. He has also been the member of the Muslim Safety Forum from 2002 to 2005. 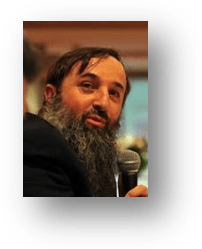 Mr. Shadjareh has authored several papers and reports on Islamophobia and human rights, including, The Oldham Riots, Muslim Profiling, Islamophobia: The New Crusade and Whose Rights Are They Anyway? published by the British Council. He has also presented papers at various conferences related to human rights and Muslim issues, some of which are the International Islamophobia Conference in Turkey 2007, Best Practices: Resolving Tensions in Counterterrorism Policies Between Short- and Long-Term Threats in Germany 2008, 60 years of Israel and Human Right in Indonesia 2008 and was part of a delegation for The Guantanamo Human Rights Commission (GHRC) to the USA in 2004. He has provided expert witness reports for courts on Islam and Muslim affairs, Stop and Search and Anti-Terrorism; and its impact on the Muslim community. He is a well known commentator on Muslim affairs both in the UK and overseas. He was commissioned to write an opinion piece for The Guardian Comment section entitled, ‘Aliens in their own country,’ published 1st April 2004. 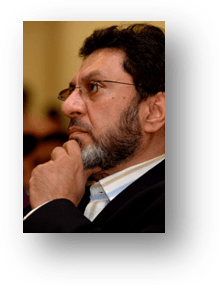 He is the co-author of Muslim Profiling (IHRC, 2002), Islamophobia: The New Crusade (IHRC, 2002), The Oldham Riots: Discrimination, Deprivation and Communal Tension in the UK (IHRC, 2001) and Human Rights, Justice and Muslims in the Modern World (IHRC, 2000) and Do Human Rights Travel (published by the British Council, 2004). Mr.Shadjareh has completed postgraduate studies in Cambridge and London in International Relations. He currently lives in London with his wife and four children. Majed KH. al-Zeer was born in Bethlehem in 1962. He moved to Kuwait at the age of 4 and grew up there where he completed his education. He graduated from Kuwait University with a degree in Civil Engineering. 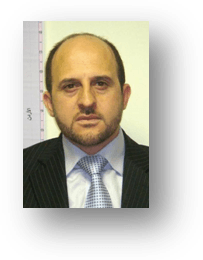 Mr. al Zeer moved to the UK in 1992 and since 1996 has been the director of the Palestinian Return Centre. He is also a journalist and a member of the National Union of Journalists. Since being in the UK, he has written many articles on the Palestinian refugee issues, completed a MA in Refugee Studies from East London University, participated in different conferences organized by International bodies such as Chatham House, European Council and Middle East Regional Bodies and has delivered tens of lectures internationally on the plight of Palestinian refugees. He is married with 5 children and is currently based in the UK. 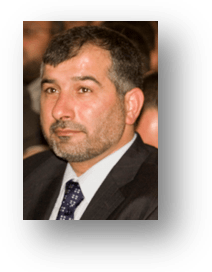 Dr Daud Abdullah is Deputy Secretary-General of the Muslim Council of Britain (MCB) and Director of the London-based Middle East Monitor. The Muslim Council of Britain is an umbrella organisation representing up to 400 Muslim organisations and Mosques. He has been described as one of the UK’s most influential Islamic leaders, who have helped counter extremism in the country’s mosques by the Guardian newspaper. He has been part of a number of important delegations including visiting Iraq in 2004 to negotiate the release of British captive Ken Bigley. 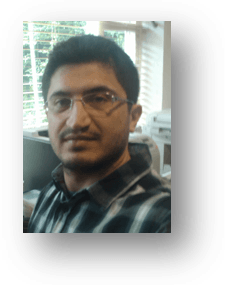 Dr Abdullah is a part-time lecturer at Birkbeck College, University of London. He previously lectured at the University Of Maiduguri, Nigeria. He has published several articles and books on Islam and the Palestine issue. He contributed to a 2007 collection of essays titled Islamic Political Radicalism: A European Perspective (Edinburgh University Press). He contributed a chapter to an academic text on American Foreign Policy & the Muslim World (Al Zaytouna Centre For Studies & Consultations, Beirut, 2009). 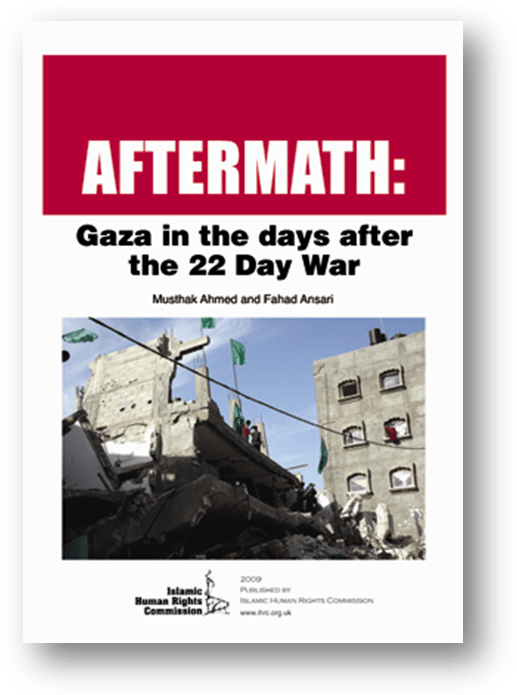 His most recent articles on Palestine have been published by Al Jazeera. Dr Abdullah is currently based in the UK. Dr Millcent was born in1958 in France. He spent much of his youth travelling in Turkey, Iran and Afghanistan. In 1978, Dr Millcent went on a medical mission to Afghanistan and Pakistan during the soviet war to aid the civilian population, volunteer in the hospitals and help build the medical infrastructure. It was during his stay in Afghanistan where he converted to Islam. In May 1979 he founded and directed the International Student Humanitarian Association in Strasbourg, after which he made numerous aid visits to Afghanistan. After his travels he returned to France and completed his studies in Strasbourg and graduated as a Medical Doctor. Upon obtaining his PhD in Medicine he opened a GP clinic. He then went on to open another clinic specialising in treating drug addictions. In May 1985 to December 1993 Dr Millcent was an elected member of the Executive Council and Federation of Muslims in France. Between October 1989 and March 2004, he coordinated the national campaign on religious liberty for Muslim women to be allowed to wear the headscarf and founded ‘Comite 15 Mars’ a campaign against the headscarf ban. In January 2000 he founded the Muslim Justice Defence Organisation. He is also a member of the French council for the Muslim religion. Dr Millcent is married with 4 children and is currently based in France. Seyfeddin Kara was born and raised in Turkey. He graduated with a BA in History from Uludag University, Turkey. After which he moved to the UK where he obtained a Certificate in International Human Rights Law and Practice from the London School of Economics, University of London. He pursued Islamic studies at Birkbeck College, University of London and is currently a PhD Candidate at the School of Government and International Affairs, University of Durham. Mr Kara has worked with the Islamic Human Rights Commission and represented the Commission at the UN Human Rights Council Meeting in Geneva in 2007 and 2008. He has presented oral interventions and participated in meetings with government and NGO representatives. He also represented the Commission at the ‘Organisation for Security and Cooperation in Europe’ in Vienna. He has made numerous appearances on various TV channels on the issues of British Muslims, multiculturalism, Islam and media, and Islam in Turkey as well as given expert testimonies at the UK courts on various high profile anti-terrorism cases. Mr Kara presented a paper at AMSS conference at Chester University on the topic of British Muslims in Higher Education in April 2009. “Europe’s Shame: Anti-Muslim Hatred and the Roma of Bulgaria”, March 2010. “Turkey’s Failure to Implement Its Responsibilities Towards Headscarved Women,” November 2009. Mr Kara currently heads the Campaigns Department at the Islamic Human Rights Commission.